It’s the most talked about region for beer but have you taken the time to travel outside Brussels or Brugge and investigate where your beer was made? In fact, did you know that there is a proud tradition of women brewers? More about that later but I’d like to take this opportunity to encourage you to stand up after finishing your fries and mayo with your Leuven beer (or maybe my favourite Carolus) and head out of town to experience a tour of your favourite beer’s brewery or maybe discover something new! 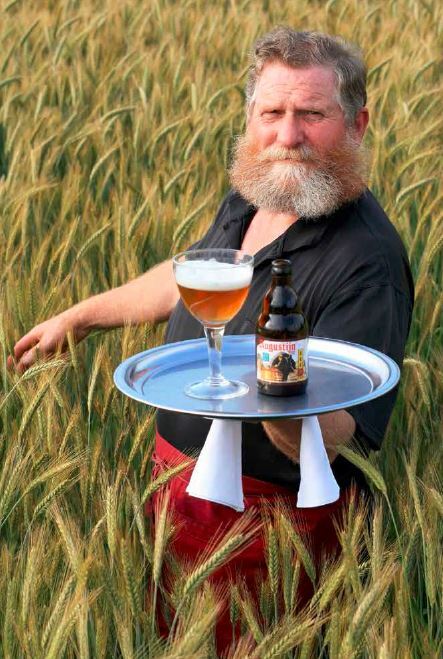 Of beer producing nations, Belgium is always going to be number one. It has been and will continue to be because there is a rich history of making beer as close to wine as possible in order to avoid taxes which is one of the best reasons to find yourself in possession of a 750ml bottle of 11% ABV beer. Yes, you read that correctly! There are plenty of places out and about for you to get a tour of so don’t be shy – hop on out and get into a brewery! Not all of these folks have tours but I’ve tried to opt for mostly places you can tour. The Province of Antwerp has a great deal to offer beer lovers. There are currently 14 breweries in the province but, centuries ago, there were many more. Despite the small number of breweries still in existence, beer culture is very much alive and well, and new, local beers are regularly developed or rediscovered here. There are several prominent specialty beer cafes, and many internationally acclaimed beer festivals take place in the Province. Moreover, several beer gems are brewed here, including the famous “Bolleke Koninck” in the city of Antwerp; the deliciously foamy Duvel beer from Breendonk and the widely appreciated Westmalle Trappist beer. Het Anker in Mechelen is one of the oldest breweries in Belgium and is known the world over for its Gouden Carolus Classic. Het Anker is the city brewery of Mechelen and one of the oldest breweries in the country. 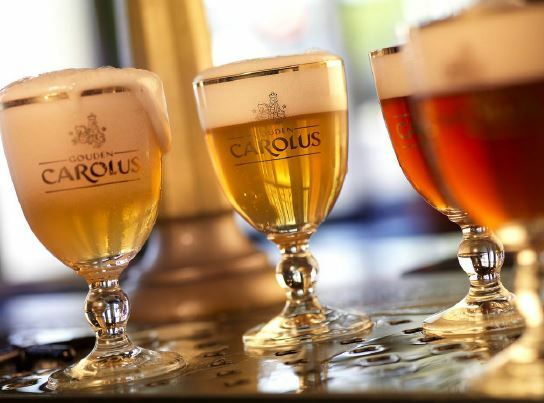 It is mainly known for its internationally praised beer, “Gouden Carolus Classic,”and owes its success to its authenticity, as the brewing process is founded on ancient recipes and herbs. Since 2010 the brewery has also been distilling its own whisky, called the Gouden Carolus Single Malt, using the malt mash of Gouden Carolus Tripel, and visitors can see the ripening warehouses where the whisky is patiently maturing. De Koninck Brewery will open a new multi-sensory and innovative beer experience centre that will open in spring 2015. Visitors will experience the beer history of Antwerp and the brewing of the De Koninck beer in an interactive and multimedia setting. The latest audio-visual techniques will be used to give visitors a unique experience. The multifunctional centre will also act as a tourist information point which will make it the ideal starting point and gateway for a visit to Antwerp. The Westmalle Trappist beers are brewed within the confines of the Trappist abbey under the supervision of the monks, who have consciously opted in favour of small-scale production because it is not their objective to make a profit. They want to use the revenue from their beer production to reinvest in the brewery, provide their own upkeep and donate to other abbeys and charities. The monks also run a cheese-making facility and dairy farm, using milk from their own herd for the production of their own cheese, which they sell at the abbey gate. In 1923 Duvel production started up with a few crates of beer, and today countless beer lovers around the world (in over 60 countries) enjoy this beer. It is still brewed with the greatest respect for the original recipe and ripening times. Visitors can choose a standard visit, a visit with a beer tasting, or a visit with food pairing (beer and cheese). Visitors to Limburg will find Trappists with their own brewery and an open brewing hall in Achel; the biggest European industrial archaeological beer museum in Bocholt, and an authentic 19th-century brewery-distillery in Wilderen. The nicest Limburg breweries can be found in stunning historic and cultural heritage sites such as Ter Dolen Castle in Houthalen-Helchteren, where visitors can often still see the brewers at work. A tour of the Limburg breweries is bound to come up to everyone’s expectations, thanks to the diversity of their products and the warm welcome. Visitors can even take a bike on a discovery tour using the bicycle network to map out a route past breweries and a selection of bike-friendly pubs and restaurants that cherish and promote Limburg’s regional beers. This traditional brewery is situated in the castle village of Kerkom and is the ideal stop for walkers, cyclists and beer lovers where they can taste the home-brewed Bink beers (Bink blond, Bink bruin, Bink Bloesem). The brewery also produces other home brews such as Winterkoninkske, Winterkoninkske Grand Cru, Adelardus Dubbel, Adelardus Tripel and Bink Tripel, as well as the most recent addition to the range, Bloesem Kriek. This is an authentic industrial monument, built in 1743 in the centre of the village of Wilderen, amid expansive fruit orchards in the region around Sint-Truiden. A contemporary brewery and distillery, an imposing alcohol distillery dating from 1890 and a monumental, traditionally-built Hesbaye farm are part of this unique story. There is an impressive café with a large terrace serving home-brewed beers and jenevers. The Jessenhofke is a typical home brewery where visitors are welcomed in the family living room to experience traditional Limburg hospitality first hand. Brewer Gert is passionate about the taste of beer and has developed various types of high fermentation beer using Belgian organic hops. 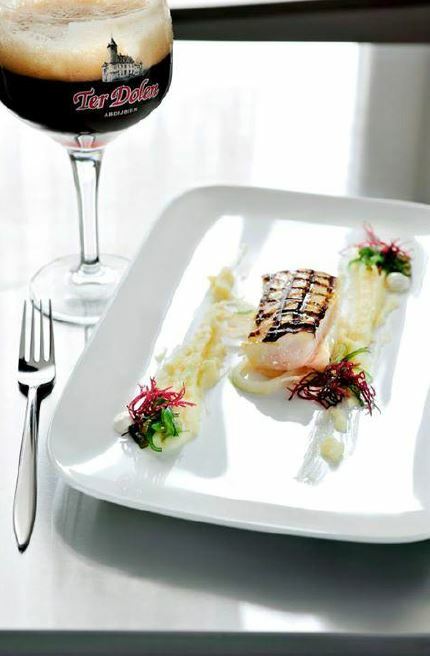 During a tasting he will introduce visitors to the various tastes and impressions. In 1846 the Trappist monks of Westmalle founded St. Benedict‘s Abbey in Achel where, in 1999, after an interruption of 80 years, they started to brew Trappist beer again. This was prompted to a great extent by the need to earn revenue to maintain the abbey and its 20 monks. The Achel beers are fermented with the Abbey’s own yeast and hopped with Saaz and Styrian Golding hops. Leuven is Belgium’s beer capital. AB InBev still brews its well-known Stella Artois beer here, while Domus creates artisanal beers in its brewery in the shadow of City Hall. And the city can be explored year-round thanks to several unique packages. Leuven also organizes the Leuven Beer Weekend with as top activity the Zythos Beer Festival, the biggest beer-tasting festival in the world about Belgian beer. Flemish Brabant has about 30, often artisanal, breweries. Besides AB InBev, with branches in Leuven and Hoegaarden, the Haacht Brewery, Palm Brewery and Affligem Brewery have also become prominent. The Pajottenland region, to the south west of Brussels, is the birthplace of the unique lambic beers, found only in Belgium. There is a great atmosphere in the region’s authentic pubs and B&Bs and hotels often offer beer packages. In and around the year 1900 Belgium had over 4,000 breweries. Most of the beers brewed at that time were regional beers and some were served only in the local watering hole. Since September 1985 the Domus home brewery on Tiensestraat in Leuven has been brewing its own old-fashioned, delicious beers, without additives, in its small-scale brewery. 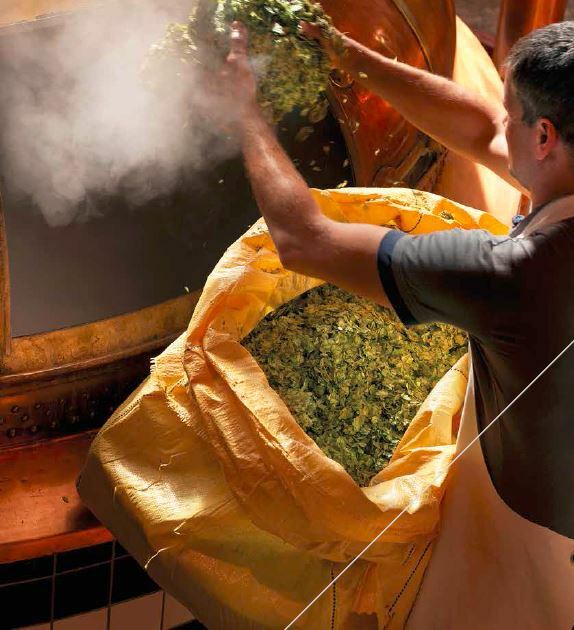 A home brewery is defined as a small brewery which is directly related to a café where beer lovers can taste the brews in the best possible conditions. The Oud Beersel brewery, which was founded in 1882, is one of the last authentic Lambic breweries in Belgium. 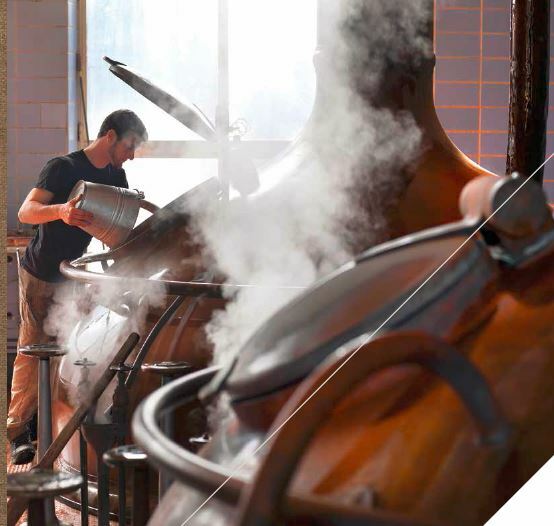 The brewery’s existence was under threat, but in 2005 it was acquired and reopened with the main aim of protecting the traditional Lambic beers and the cultural and historic heritage of Oud Beersel for future generations. The traditional Lambic brewery is managed in a contemporary manner, but with respect for tradition and craftsmanship. The Palm brewery is a tourist attraction with over 30,000 visitors a year, where an educational visit to the brewery can be combined with a visit to the famous Brabant carthorses at the Diepensteyn stud farm. The Brabant carthorse on the beer glass epitomises the power and the pride of the Palm beers. Jürgen Bessendorffer brews the perfect aperitif beer to enjoy on an idyllic spot in the heart of the sloping greens of the Hageland Hills. Need an excuse to get out of that gorgeous sun in that amazing beer garden and leave those gorgeous fries behind and touring a brewery isn’t enough of a reason? How about visiting one of the many beer festivals around the Flemish beer region? This is festival is one of the most exciting beer festivals in Europe. In 2014 35 Belgian breweries representing 350 different Belgian beers attended the festival. More than 30, small, medium and large-sized Belgian breweries will present a selection of their best brands on the Grand Place. Hop capital of Belgium, Poperinge celebrates its 20th anniversary this year. There’ll be over 20 breweries offering a choice of over 100 beers. There will also be a tombola in which every participant is guaranteed a beer themed prize and attracts over 1700 visitors from all corners of the globe. Admission is free and the festival runs from 14:30 to 23:00. Poperinge is just over the Belgian border and close to the port cities of Dunkirk and Calais. No into its 3rd year, the Winter Bierfestival takes place in a huge beer shop in the Bosstraat in Vichte. Many breweries featured during th will be different breweries present. But why is this festival called the Winters Bierfestival? They ask every brewery to bring along a Winter beer. So there you go – you have no excuse to not go off and enjoy somewhere outside of Brussels and enjoy some beer. There are breweries to visit, festivals to enjoy and more beer to discover. If you go by car remember to fill your boot(s) and bring lots back (but for heaven’s sake don’t be an idiot and drink before driving). Wanna know more about beer beyond Belgium? Why not pop over to Visit Flanders and learn more! I am absolutely going to visit. Would you say September is a good time to go? I think the beer weekend will be too busy but do you know how far in advance I need to contact the breweries in order to visit? This is a great resource : thanks so much for putting this together. I’m heading across for the long weekend here in the UK because of this post. I cant wait! Hope you are having a great weekend there right now Brian! I saw this article on my friend’s timeline and I can’t stop myself to open it being a beer lover. You have very nice blog about chocolates and wine and beer and its information. Count me your regular follower from now 🙂 Please post more about Belgian beer! I’m not sure how many more posts I’ll be doing about Belgian beer Frank but I’ll try! I will surely add Flanders to my travelling wishlist. I heard a lot of good thing and places to visit in Flanders and you added one more in it. I would love to taste different beer and visit breweries. Thanks. Excellent – glad to hear you’ll be visiting! Thanks for sharing such nice information with us regarding Flanders and Belgian beer. I love the design and theme of your blog. The chocolate color as background and the chocolate with bite in the name of blog. You nailed it Judith! More beer posts please! Thanks so much! I love this blog theme!